Previously filmed by Stephen Frears , as Dangerous Liaisons, and by Milos Forman, as Valmont, first-time director Roger Kumble updates Les Liaisons Dangereuses as a dark teen movie set in New York high society, though much of it was actually filmed in Los Angeles. 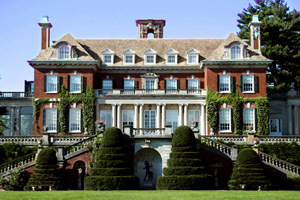 The country estate of Mrs Rosemont (Louise Fletcher) is Old Westbury Gardens, 71 Old Westbury Road, the Phipps Estate, a few miles south of the real Glen Cove, Long Island, familiar from Alfred Hitchcock’s North By Northwest, Love Story, rom-com Hitch, with Will Smith, Mike Nichols' Wolf, with Jack Nicholson, Ridley Scott's epic American Gangster, with Denzel Washington and romantic weepie Kal Ho Naa Ho, with Shah Rukh Khan, among others. The interior of the house, though, was filmed in two mansions and a hotel on the West Coast. The indoor swimming pool, where Sebastian Valmont (Ryan Phillippe) gives innocent virgin Annette Hargrove (Reese Witherspoon) an eyeful, is the Roman-style pool at the Millennium Biltmore Hotel, 506 South Grand Avenue, downtown Los Angeles. The house interiors are both in the exclusive Hancock Park district of Los Angeles – one is the Otis Chandler Mansion at 455 South Lorraine Boulevard (which can also be seen in Charlie Wilson’s War); the other the chateau-style LA home of screenwriter Shane Black in the private (as in ‘gated’) community of Fremont Place. 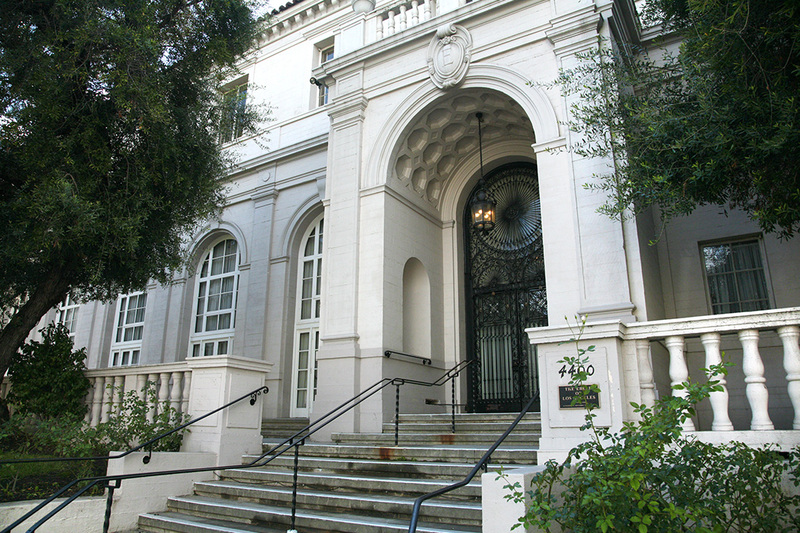 Also in Hancock Park is the old people's home, where Sebastian and Annette do good works, which is is the Ebell Of Los Angeles, 743 South Lucerne Boulevard off Wilshire Boulevard, midtown. 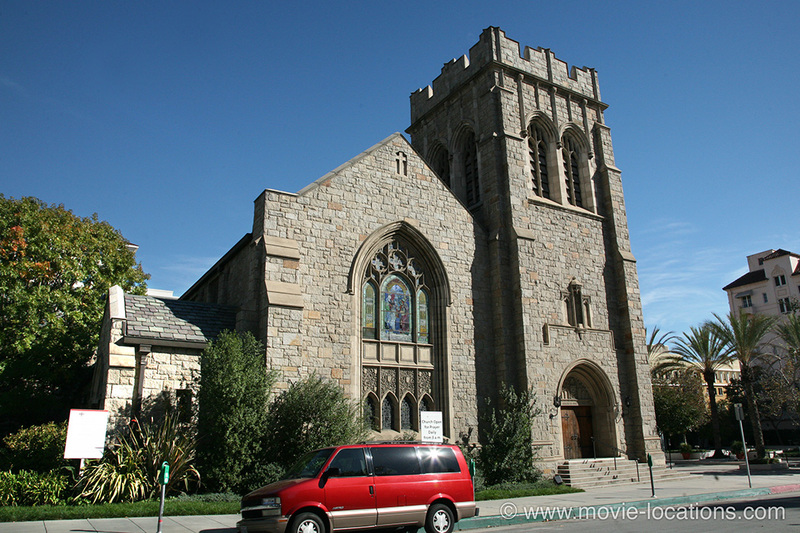 This complex, comprised of a women’s club and the Wilshire Ebell Theatre, is a frequent location seen in such diverse productions as Forrest Gump, The Addams Family, Air Force One, Catch Me If You Can, Old School, Ghost, Darkman, Death Becomes Her, The General’s Daughter, Very Bad Things and The Wedding Planner. Other LA locations include the interior of Cecile's house (Selma Blair), where she takes cello lessons, which is on Blue Jay Way in the Hollywood Hills, the road that gave its name to a Beatles’ song; the shrink's office of the opening scene, is downtown LA,; and Blaine Tuttle's (Joshua Jackson) modern place is in swanky Brentwood. The grand 'Valmont' mansion, though, really is New York. 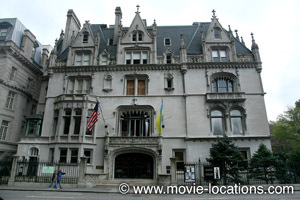 It’s the Fletcher-Sinclair Mansion, now housing the Ukrainian Cultural Center, 2 East 79th Street at Fifth Avenue. The interior of Annette's home is the JW Marriott Essex House New York, 160 Central Park South, which you might have seen in It’s Complicated. It’s back to LA for the dress shop, where Kathryn Merteuil (Sarah Michelle Gellar) passes on a bit of gossip, on Robertson Boulevard, in West Hollywood. And 'Penn Station', where Sebastian enjoys a moist-eyed reconciliation with Annette, is actually the 7th Street / Metro Center Station in downtown. Kathryn finally gets her comeuppance at the memorial service for Sebastian, held at All Saints Church, 132 North Euclid Avenue, Pasadena, seen also in another Reese Witherspoon film, Legally Blonde, as well as Clint Eastwood’s Changeling with Angelina Jolie, and Garry Marshall’s The Other Sister.